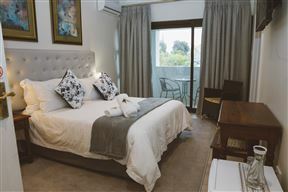 Victoria & Alfred Boutique Hotel & Guest House offers guests multiple luxury room options in Walmer. 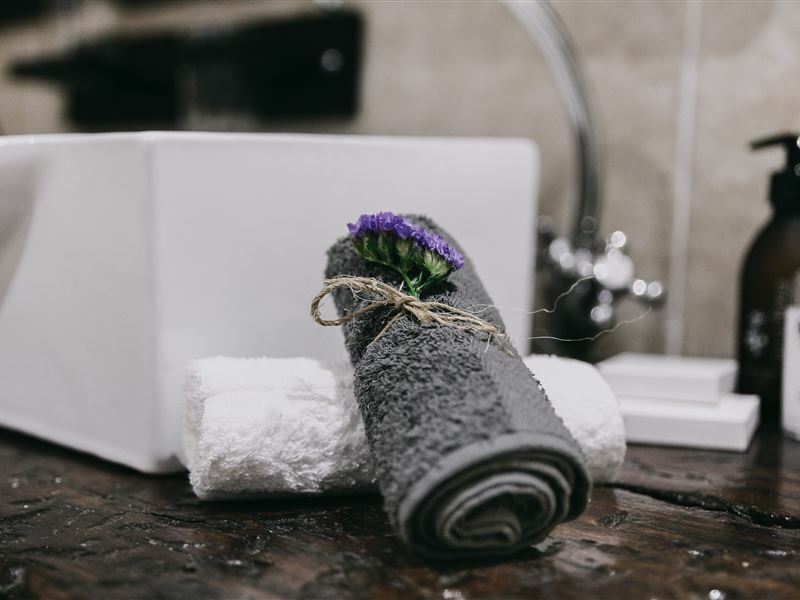 With all needed facilities, come and relax with us. 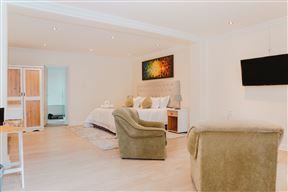 Superior Upstairs Double / Twin Room with Balcony sleeps two guests in a queen-size bed. 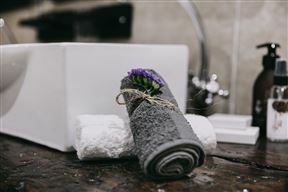 Guests make use of a private bathroom. 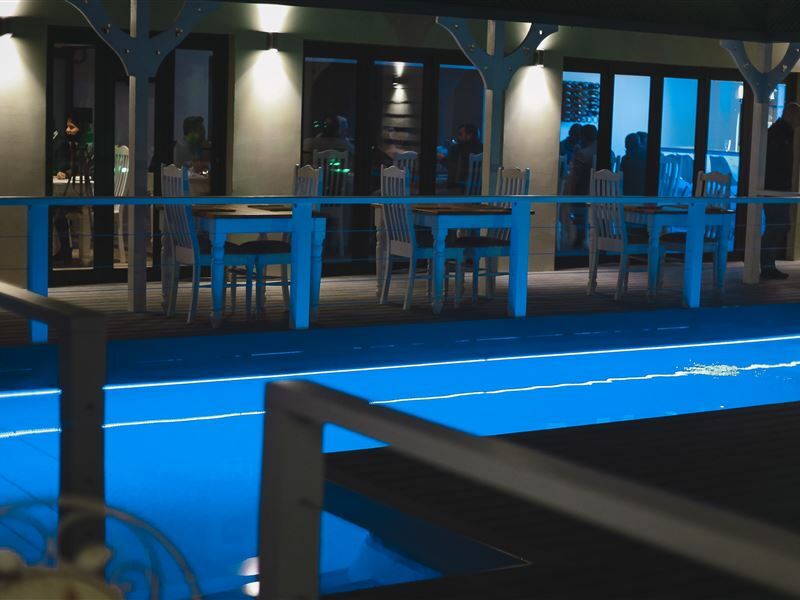 Each have their own balcony overlooking the pool and a Smart TV with free Netflix, YouTube and streaming. Further amenities include a hair dryer, air-conditioning, safe, Wi-Fi and tea and coffee facilities. Superior Double / Twin with Shower sleeps two guests in a queen-size bed. 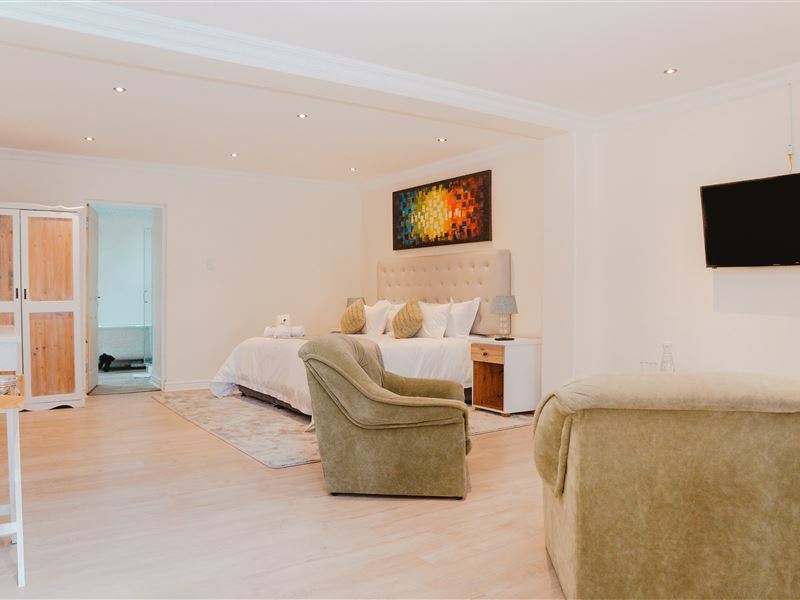 These double / twin en-suite luxury rooms are beautifully decorated in modern finishes with your own fridge and a Smart TV with free Netflix, YouTube and streaming. Further amenities include air-conditioning, safe, tea and coffee facilities and Wi-Fi. Superior Delux Executive Suite sleeps two guests in a queen-size bed. 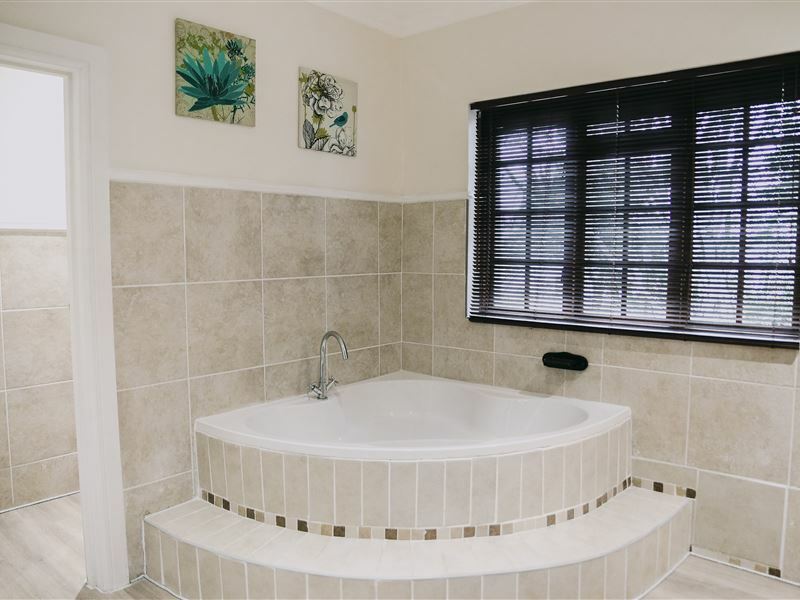 This superior suite is located upstairs with a balcony overlooking the pool and the bathroom is fitted with an opulent corner bath. It has Smart TV with free Netflix, YouTube and streaming. Garden and swimming pool view can be enjoyed. 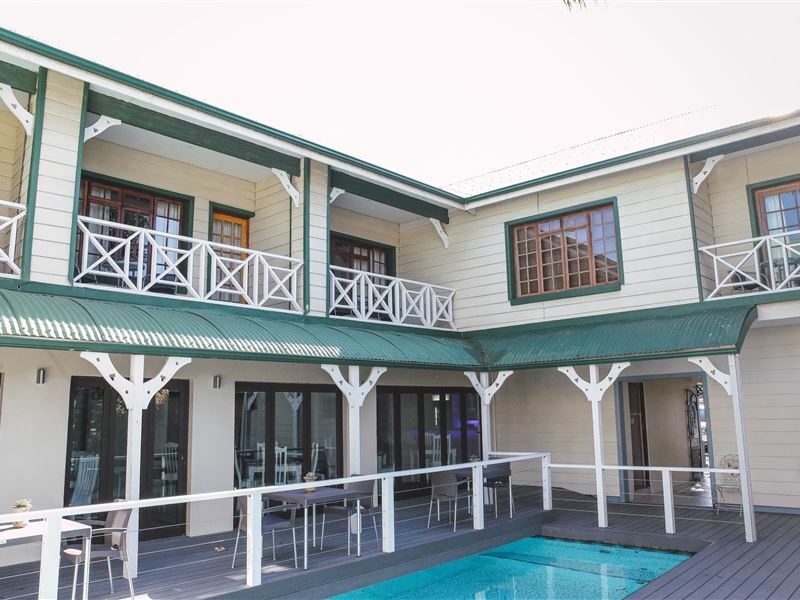 Further amenities include a hair dryer, air-conditioning, bar fridge, safe, tea and coffee facilities and Wi-Fi. Garden Room Double / Twin sleeps two guests in a queen-size bed. There is a private bathroom. Garden views can be enjoyed from the patio. Further amenities include satellite TV, a fan, hair dryer, safe, Wi-Fi and tea and coffee facilities. Garden Family Room sleeps four guests. 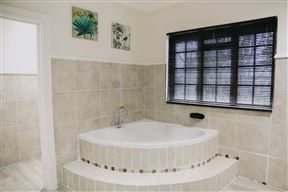 The unit consists of a king bed, two three-quarter beds and a bathroom with a separate shower and bath. It has a smart TV with free Netflix, YouTube and streaming and is completely private from the other rooms. Further amenities include a fan, hair dryer, air-conditioning, safe, Wi-Fi and tea and coffee facilities. Garden views can be enjoyed. 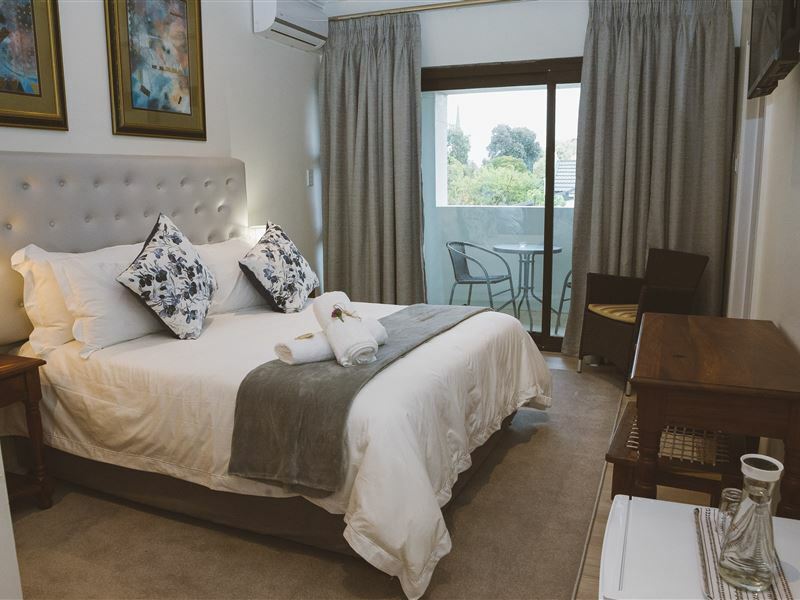 Superior Double / Twin Room @ Pool sleeps two guests and is situated next to the pool. 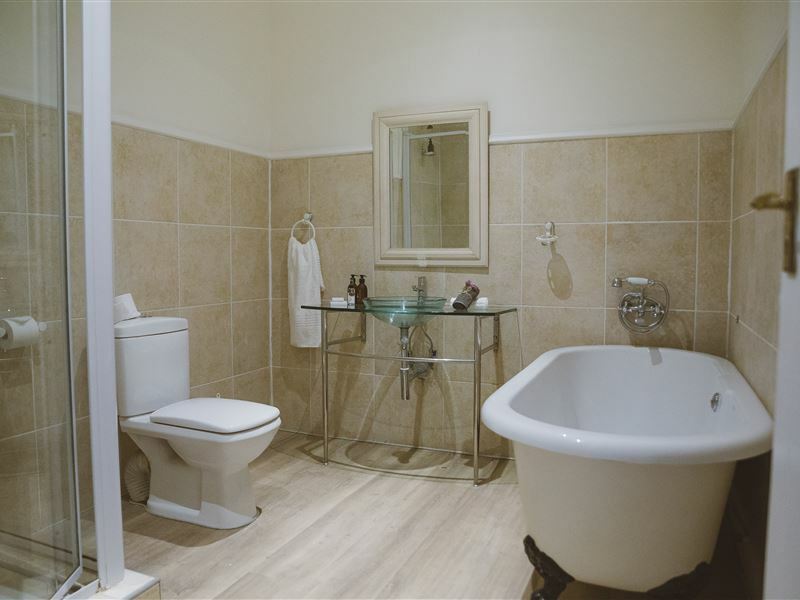 This spacious luxury room comes with a lounge area, king-size bed, en-suite bathroom with shower and Victorian bath. It has a Smart TV with free Netflix, YouTube and streaming. Further amenities include a hair dryer, air-conditioning, bar fridge, safe, Wi-Fi and tea and coffee facilities. 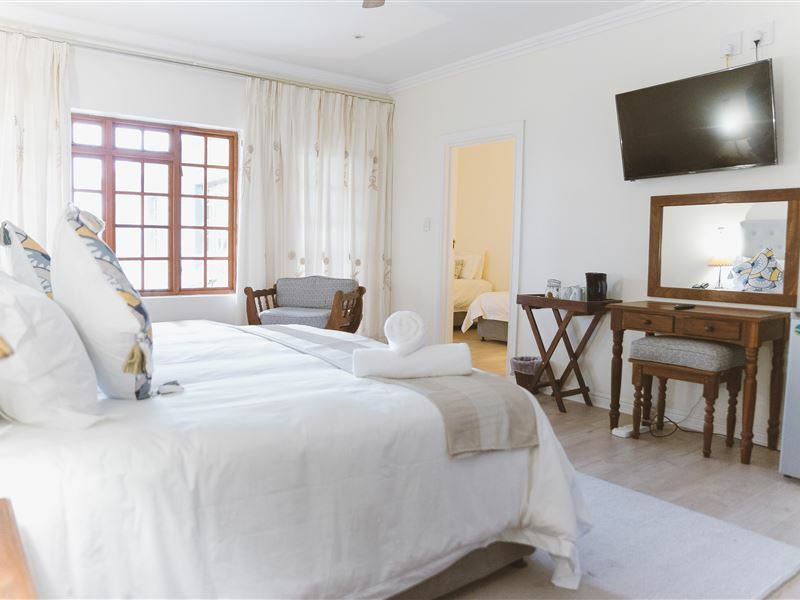 Self Catering Units sleep four guests in two single beds and a queen-size bed. There is a small kitchenette with a bar fridge, microwave, cooking facilities and Smart TV’s with free Netflix, YouTube and streaming. 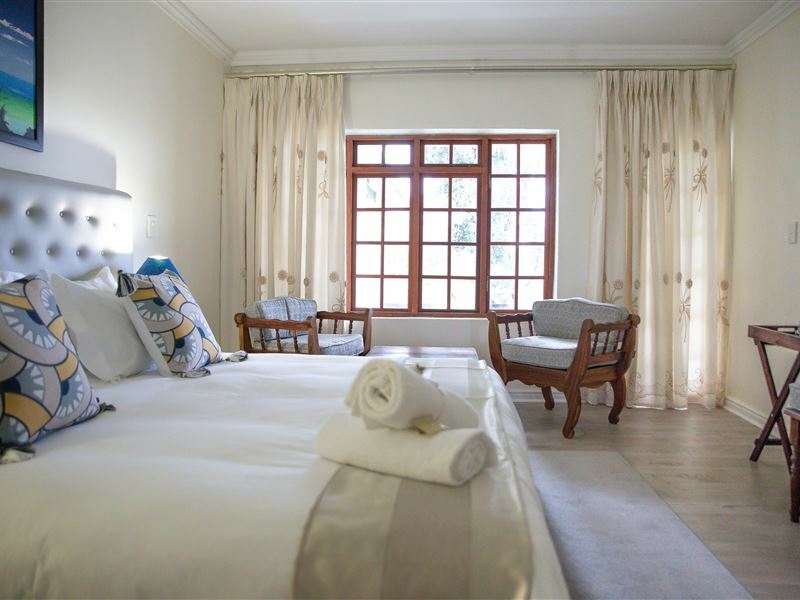 Both rooms are located on the ground floor for easy access and are part of the main manor house which makes these rooms ideal for families with children. Garden and swimming pool views can be enjoyed. 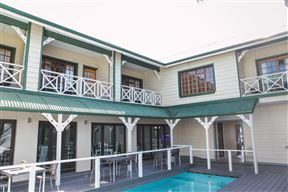 Further amenities include a hair dryer, air-conditioning, bar fridge, safe, tea and coffee facilities and Wi-Fi. 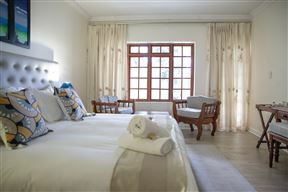 Superior Family Upstairs Room with Balcony sleeps four guests in a king-size bed and two three-quarter beds. 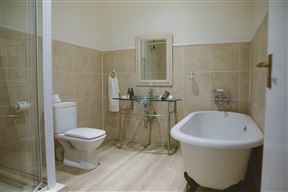 Guests make use of an en-suite bathroom. This room has a balcony overlooking the pool, and the in-house Smart TV with free Netflix, YouTube and streaming. 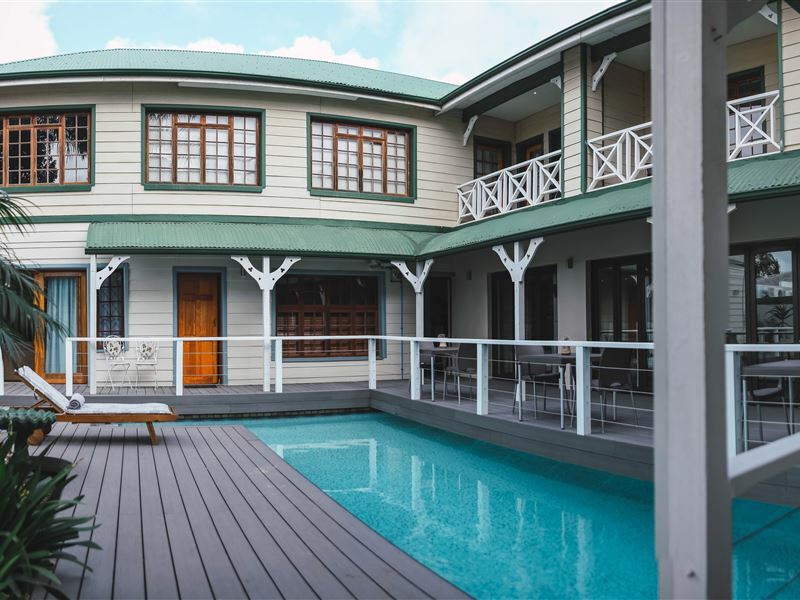 Further amenities include a hair dryer, air-conditioning, bar fridge, safe, tea and coffee facilities and Wi-Fi. 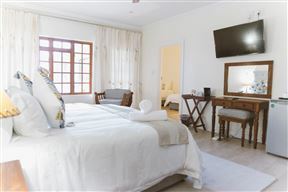 Walmer attractions include Uptown Theater, St George&apos;s Park, and Feather Market Centre. Guests of Victoria & Alfred Boutique Hotel & Guest House can also visit Lalibela Private Game Reserve.